Each state has different filing requirements, so you may need to file no matter how much you owe. 1. Who Must File a Tax Return in Michigan? 2. Do You Have to Pay Income Tax to a Nonresidential State? 3. Am I Exempt From North Carolina Taxes if I Did Not Reside but Only Worked There? The Internal Revenue Service has a federal filing requirement for everyone who meets a minimum income level or who received certain types of earnings. State tax-filing requirements, however, differ from state to state, so even if you don't owe state tax you may be required to file a return. In some cases, there may be other reasons you'll want to file even if you don’t have a legal requirement. Some states require a return only if your income exceeds a certain level. For example, in Alabama, single taxpayers earning more than $4,000 or those married and filing jointly $5,250 must file. In Connecticut everyone who earned more than the current state standard deduction is required to file, as are all residents who are in the armed forces, regardless of current location. In Colorado, if you file a federal return you must file a state return. Check with your state's tax board for filing requirements. If you are lucky enough to live in one of these states, you won't have to file a state return no matter how much you earn: Alaska, Florida, Nevada, South Dakota, Texas, Washington and Wyoming. However, if you also earned income in another state, or lived part of the year in another state, check on that state's filing requirements, especially if you had any state tax withheld. 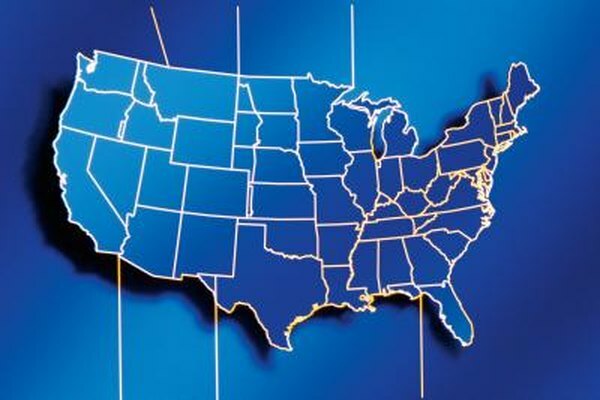 If you lived in more than one state during the tax year, check the requirements for each state. Some require returns from anyone who lived there more than six months or was a resident on Dec. 31. Others determine filing requirements by total income level, regardless of whether you actually owe any tax or had income in the particular state. Even if you don't owe tax in your home state, if your employer withheld any state tax, you will be entitled to get a refund for the amount you paid. All states require a state tax return in order to process your refund. Check with your state's tax agency for forms and filing deadlines to get your money back. This is particularly important for students or part-year residents who may not owe taxes in the state where the withholding was made. Some states offer special credit programs for residents, such as renter's credit in California and Oregon's state energy credit for use of alternative energy sources. Other states offer credits for homeowners, preserving historic buildings or child care. You can qualify and receive the credit only when you file a state tax return. Internal Revenue Service: Do I Have to File a Federal Income Tax Return? State of Connecticut: Who Must File a Connecticut Income Tax Return? Naomi Smith has been writing full-time since 2009, following a career in finance. Her fiction has been published by Loose Id and Dreamspinner Press, among others. She holds a Master of Science in financial economics from the London School of Economics and a Bachelor of Arts in political economy from the University of California, Berkeley. Can I Be a Resident of Utah but Work in Texas and Not Pay State Income Taxes? What States Have the Lowest Tax Rates? Am I Allowed to File My Husband on My Income Taxes if He Is Incarcerated in a State Prison?